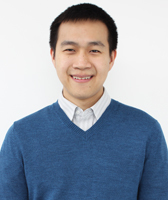 David Kuo applies machine learning methods to biomedical questions, specifically in the realm of cancer transcriptomics and large scale data analysis. David began biomedical research in the laboratory of alternative splicing expert Jane Wu in the summers from 2001-2005. He earned his BS in Biological Sciences at Stanford University in 2008. While at Stanford, David was an undergraduate student researcher in the laboratory of cancer biologist Calvin Kuo (no relation), where he studied the effects of VEGF blockade on liver vasculature. David was an Information Systems Developer for McMaster-Carr Supply Company before matriculating at the Weill Cornell Graduate School of Medical Sciences in the Physiology, Biophysics & Systems Biology Department. 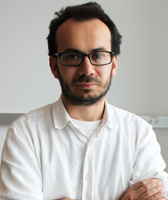 He joined the Rätsch Lab in 2012.